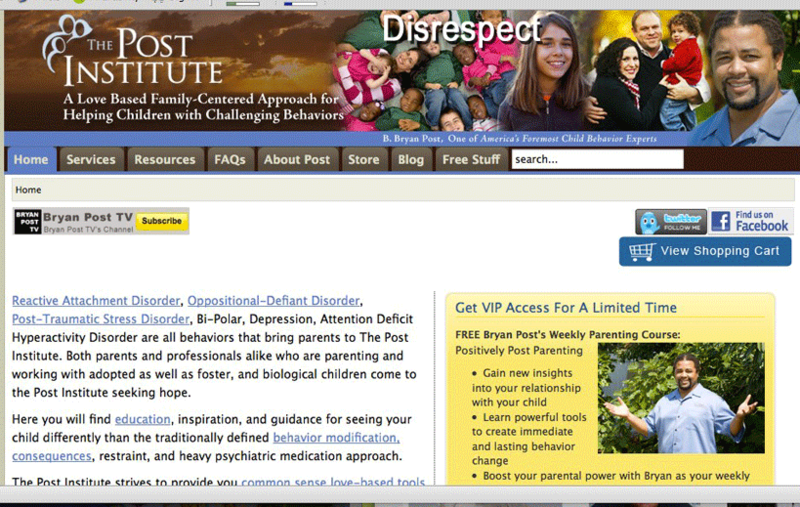 Post Institute provides training and educational material for parents and professionals working with Reactive Attachment Disorder & Defiance in Adopted & Foster Kids. 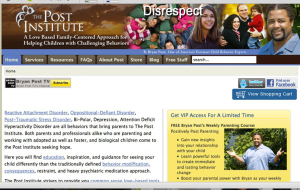 The Post Institute website was built using Joomla with a purchased template that was modified slightly for their use. The Post Institute uses Infusionsoft® marketing automation software. Using the Infusionsoft API, EqualServing developed a Refer-A-Friend script that promotes the site while rewarding the referring customer and the potential customer. We also created a number of their marketing images found on the site’s sidebars and for affiliate promotions. Michele has built a number of websites for us and works closely maintaining and monitoring them for us. She is very skilled, knowledgeable and offers great customer service. Dependable, honest, high integrity (need I go on?). Oh yeah, and affordable even for a little company such as ours. Plus, she has beaten large companies that we worked with by helping them see and solve their problems when they could not – Intuit and 1ShoppingCart.com to name just two. She knows her stuff.